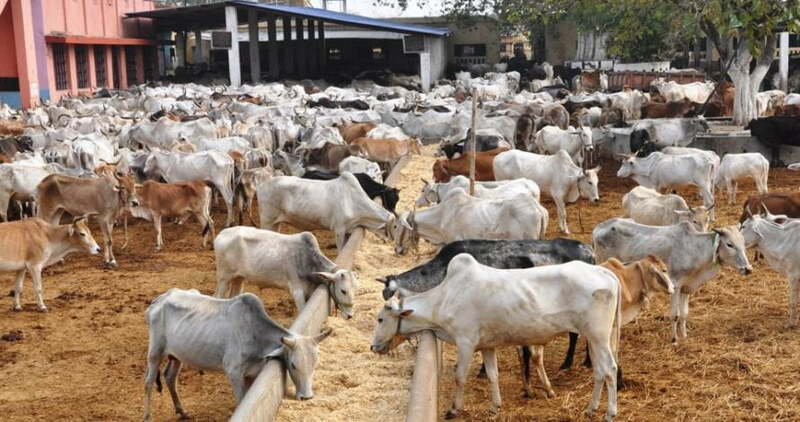 The Minister of Agriculture and Rural Development, Chief Audu Ogbeh has said the Federal Government will soon begin cattle ranching in the country to stop herdsmen killings. Ogbeh made the disclosure on Monday during his official visit to a beans market located at Auta Ballefi, Nasarawa State, operated by the Internally Displaced Persons (IDPs), NAN reports. â€œWe are starting the ranches soon. We will see if we can buy large number of shell and keep before we start. We want to stop the cows roaming about causing fights and killings. â€œWe will buy and give them to feed their cows until they get use to the ranches. We want to know if you have up to a trailer load. We will see what we can do if we can off-take the shell from you,â€™â€™ he added. The minister, however, warned farmers against preserving beans with sniper after harvesting. â€œWe are proud of what we are seeing here today because this is not what we normally see in the IDPs. Most of the IDPs we visited are always waiting for people to bring food to them. â€œBut here, you are producing food and making money. You have told us what you need and as we go back to the office, we will find ways of helping you. â€œI have never seen any beans market as big as this. And because you are farming, we are going to help you improve on what you are doing. â€œI assure you that before the next planting season, we will bring three tractors here. You manage the tractors to do your farming. â€œThe first thing I will say now is nobody should put sniper on the beans again for storage because it is poisonous to human health. â€œInstead, use pepper for preservation. That is why when we export beans, they are being rejected in Europe,â€ he said. The minister restated governmentâ€™s commitment to provide big market for farm produce to avoid post-harvest losses. â€œWe will find bigger markets to buy what you are producing. We are going to be buying from this market for schoolsâ€™ programmes because is clean and direct from the farms. â€œFrom the report released by the Central Bank of Nigeria (CBN) few days ago says the country has saved N51 billion in 34 months from importation. We have cut down food importation which is good,â€™â€™ he added.